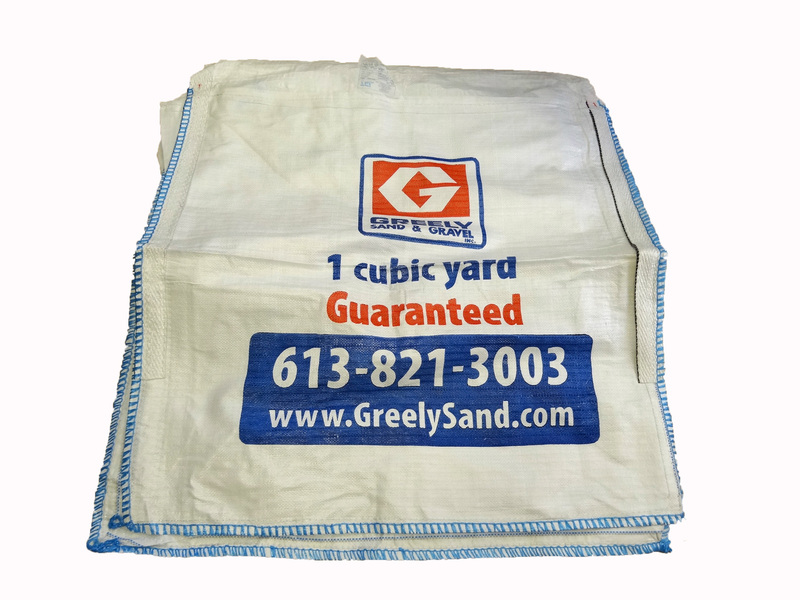 Empty Greely's DisposaBags - Greely Sand & Gravel Inc.
Greely’s DisposaBags are one cubic yard and are perfect for homeowners looking to dispose of Garden Waste, Excavation Waste, or Non-Hazardous Household Waste through Greely’s DisposaBag waste pickup service. 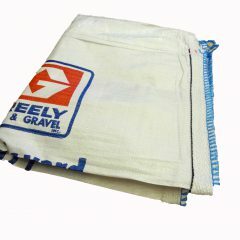 Order your empty Greely’s DisposaBags online and have them delivered to your door. Or, you can come pick up an empty cubic yard DisposaBag yourself from one of our landscape depots. 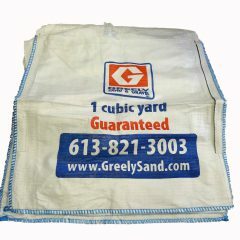 Simply fill the empty cubic yard bag in an easily accessible location on your driveway. Once you’re done, schedule a pickup online and a Greely truck will come and collect your DisposaBag filled with Garden Waste, Excavation Waste, or Non-Hazardous Household Waste. 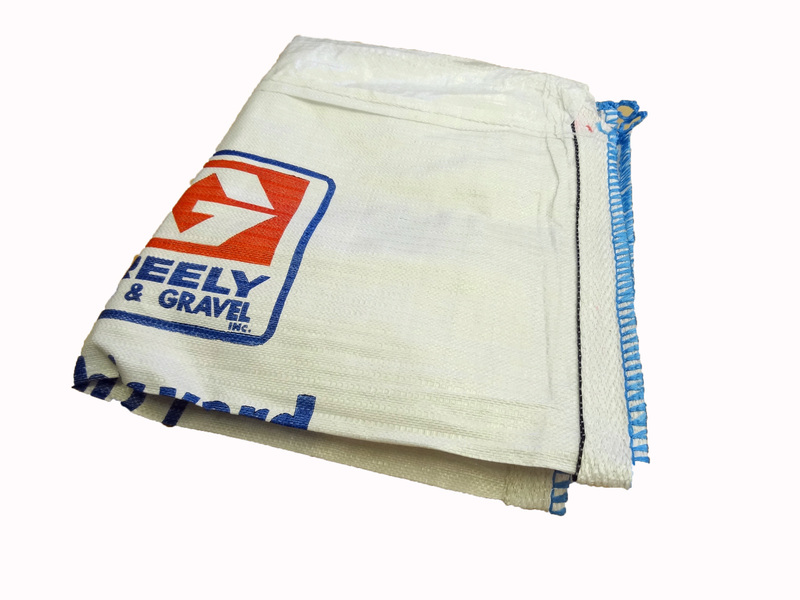 Holds up to 1,500kg – one of the strongest waste removal bags on the market. 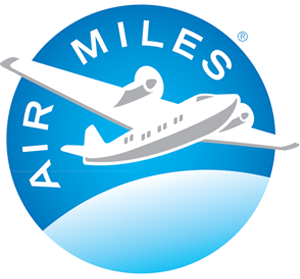 Made of highly durable polypropylene, allowing you to pack it to the brim without fear of breakage. Book your waste removal bag pickup online today! Need to order a DisposaBag pickup? Click here! 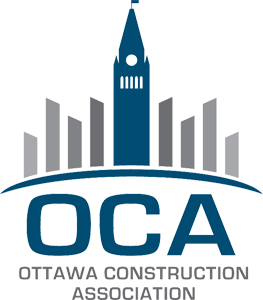 Price includes delivery in the Ottawa area (Central Kanata to Central Orleans to Kemptville).